Allegri is not a likeable guy. He’s not personable, he has a little bit of an odd voice, he looks like a Simpsons character, and his sense of humor is a bit dark and misunderstood. There are those who have been calling for his head for a while, others more recently. So after a game in which the papers said Milan “had no ideas” on Sunday, some were surprised to see some of us long term supporters drop our support. Was it reactionary? Yes. Was it based on only one game? Not for me. My decision was based only partially on tactics and formations, but rather more on taking a step back and taking a look at the bigger picture. My Italian friend always tells me I’m more Italian than my husband (who is actually Italian, I am not.) And Italians will call for a coach’s head after just one bad game. They also change their coaches more often than any of the other major European leagues, and it’s not just because of Zamparini, even if he does raise the curve a little. 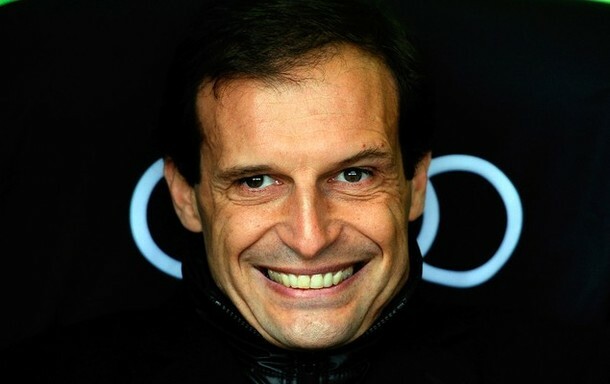 So that Allegri is entering his third season with one club is pretty amazing. 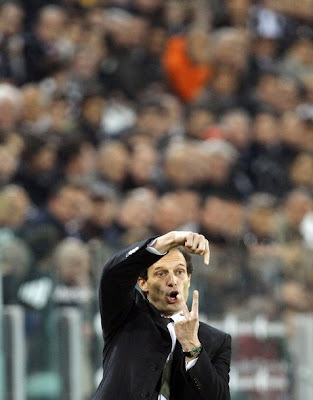 But in fact, I still think Allegri is a very good coach. Consider his strengths. 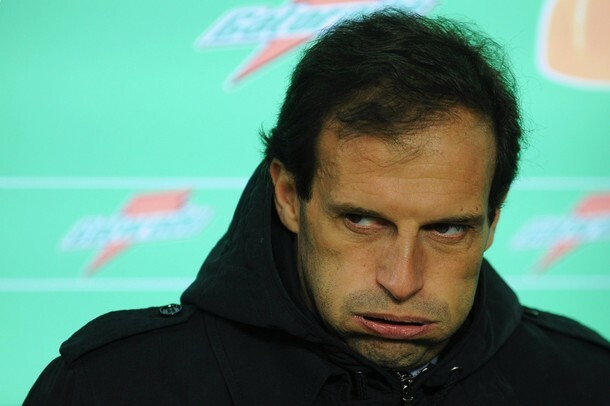 He is able to get the most out of his players, especially players like Abate, who plays out of position and was struggling to perform when Allegri arrived. He took on a band of complete misfits, adding more princesses and misfits along the way. Players who had been wanting to return home or were discipline problems thrived under his watch. And he was able to unite them all, crazy personalities and classy senators playing side by side. And even this season, he’s developed a “buddy system” to integrate the new players. I don’t know of many other managers who could pull all of that off. A lot of people say he is Berlusconi and Galliani’s puppet. I wholeheartedly disagree. More than any other recent manager, he seems to be a pain in their butts and always standing up for himself and what he wants. He hasn’t always been given what he wanted, but he’s always fought for their respect. My hat’s definitely off to him here. Tactically speaking, he is stubborn as hell, but he originally came in, assessed the squad, and built the system around the players he had instead of vice-versa. Many coaches try to conform the players to their system. This was a big reason I originally really liked him and trusted him. He is also a fantastic crisis manager, staying cool as a cucumber with injury crises of biblical proportions. In fact, some of his best tactical improvisations came from necessity, when he had too many players injured. The man deserves a medal for the work he did through Injury Armageddon™. 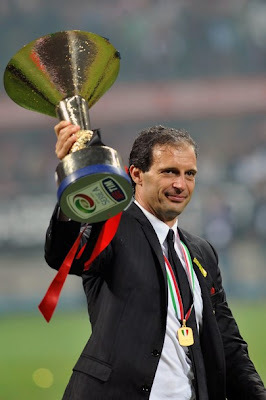 And speaking of hardware, a Scudetto his first season and a Supercoppa the next is not something everyone achieves. Then there were the “Golden Bench” best coach awards he won at Cagliari that were awarded him by his peers. When the exodus of players occurred this summer, I argued vehemently that he should stay, to provide some consistency. So where did my change of heart occur? It was gradual. I personally blame him for his treatment of Inzaghi. Not just not playing him, but for freezing him out and treating him as unimportant just because he doesn’t favor a poacher. Nobody messes with my Pippo. Then there were the substitutions. Good Lord, man, a 94th minute substitution is not a substitution, it’s an insult to everyone, fans included. And, in my opinion, there were many injuries that could have been avoided if he had been willing to make a sub here and there prior to the 70th minute. Plus, he never gives younger players a chance unless they are the last ones standing, not even to sub on for 10 minutes at the end of a match. But still, I supported him. This past season was telling for his character, as he started out saying all the right things, but quickly dropped to our opponents’ levels when criticized, adding to the acrimony. Not that our club was any classier, but for me, I was very disappointed. I really believed he was bigger than that, even if I can’t blame him. Then there were all of the other reports and rumors of tension between him and many players – Ibra (to be expected, but still,) Seedorf, Flamini, it just kept piling up. When Gattuso came out and said that Allegri’s treatment of he and Nesta and the other senators was what convinced them to leave the club, I was crushed. I blamed Pirlo for a lack of class when he made similar statements (even if I still think he lost his class.) Then more recently, reported arguments with Mexes and Cassano. What started as a molehill became a mountain of injustice for me, and even if most of the senators were overdue to leave, having 10 of them exit all at once was not healthy, either. He has become a cancer in the locker room, it’s his way or the highway. Sunday’s match was the icing on the cake for me, as he complained about not having a reference point up front, but then he didn’t line one up, either. What, did he expect the tactics fairies to come along and adjust his lineup or his formation so that his tactics didn’t negate his expectations? To be fair, the man is working with the most ragged, patchwork squad of lower table half talents possibly ever to wear Milan jerseys, and don’t get me started on the finances, management, and transfer issues, those are all separate issues. He’s been given nothing to work with, he’s been publicly criticized by Galliani, and again, he deserves a medal. But I am not blaming him for any of the things outside of his control. So here is where everyone will likely get upset. If one of the other pieces at the club was working – the management, the finances, or the mercato (which we still have a few more days of, to be fair,) I would say he’s stubborn and frustrating, but we should keep him for what he has done for the club. However, since everything is freefalling, this is the one thing we could do to pull us out of the dive. It’s not fair that he should have to take the hit for everyone, but he is an Italian coach, it’s not like he’s expecting to retire at the club. If we pull him out now, or right away, Tassotti could take over as interim manager and try things out, or they could look for someone else. Someone to come in and shake things up, someone with fresh views and tactics and a fair and balanced view toward all the players, not favoring some and freezing out or arguing with others. Something needs to change, and despite Galliani’s history of making Galliani Day™ brilliant, it is unlikely that whatever he can get done this week will stop the nosedive we are in. The players are undisciplined, we are lucky more are not asking to leave, and even if they are just as culpable for their actions, it’s impossible to change them all out now. We need some fresh ideas and fresh tactics, someone to take the random pieces of our puzzle and put them together for us. 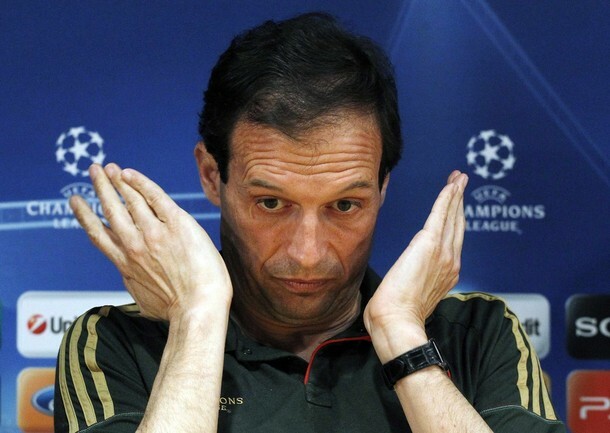 There truly is some quality in the squad, but Allegri does not seem to see how to bring it out anymore. I know it seems heartless and cruel, but his crimes against he club are enough to warrant it, in my opinion. Certainly, many, many coaches have been sacked for less. The bottom line for me, and maybe this is just the faux Italian in me, is that if you keep doing the same things you’ve always done, you’ll keep getting the same results you’ve always gotten. 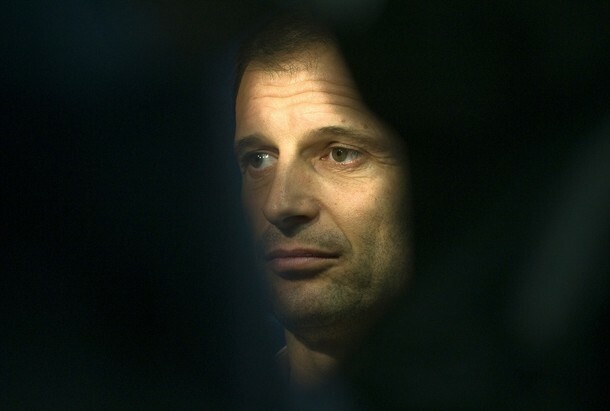 For me, Allegri has lost his way, and though he still has some great qualities, he has contributed enough to the discord and chaos that I believe we must sacrifice him to save the club. I don’t believe he can keep banging the squad’s proverbial head against the wall and find success, as much as it pains me to say it. It’s not a knee-jerk reaction from one game of poor lineups and tactics, it’s a result of his history, his current state, and is a sacrifice necessary for the club’s future.